Want to learn more about the Mazda brand? Mazda of Escondido can help you out. You can learn all about Mazda i-ACTIVSENSE® and safety ratings, MAZDA CONNECT™, interior amenities, and more! Whether you’re more curious about SKYACTIV® TECHNOLOGY features or infotainment and connectivity, we can help you out. 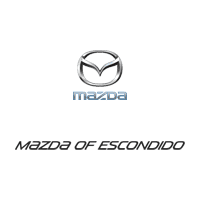 We’re proud to be your Escondido Mazda dealer, and we want to help you stay up to date with features and news. What are the 2019 Mazda3 Hatchback Configurations? ¿Cuáles son las dimensiones del 2019 Mazda CX-5?